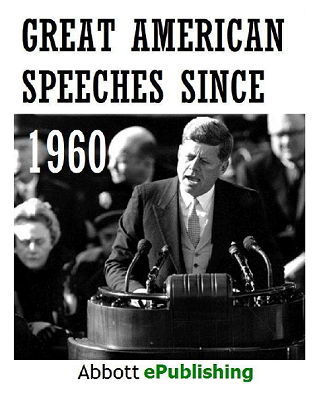 Twenty-nine of the greatest, most rousing and most important public speeches of the past half century are included here. Americans with names such as Kennedy, King, Goldwater, Clinton, Reagan, Cosby, MacArthur, Gore, Obama and McCain are to be found in this rare and wonderful collection. A remarkable resource for students, political junkies and historians alike, don't miss this eBook. Print versions and even some eBooks on this subject sell for $20-60. Text is fully extractable for reports and research.